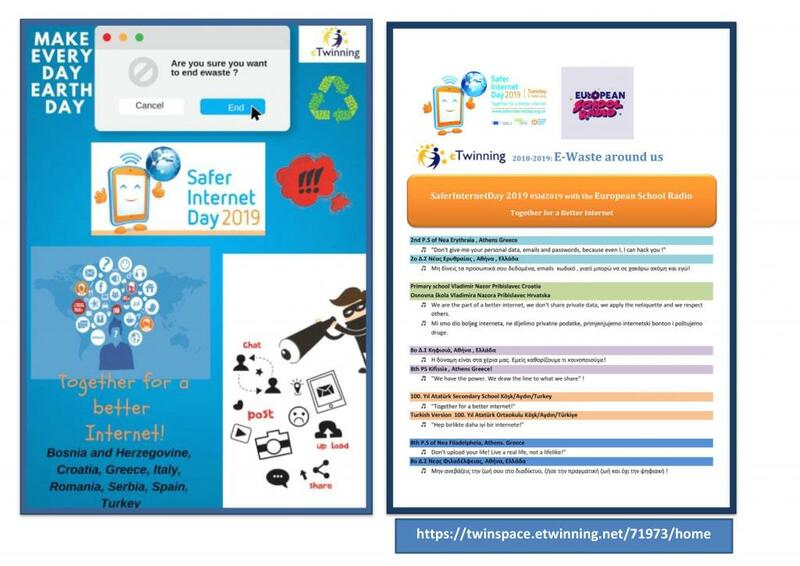 Through the European etwinning project “e-waste around us” which is dealing with electronic waste management, pupils from Croatia, Greece and Turkey are joining forces for the Safer Internet Day ( SID2019 ) and are sending their own personal message on the European School Radio in native and in English language. Each message is different, meaningful and meaningful from students who are aware of environmental and social issues. Enjoy them! •	8th PS Kifissia , Athens Greece!